Creating fine landscapes for the home or office for over 20 years. We are a design-build firm offering consultation, design and general contracting services in the Baltimore metropolitan area. We work closely with you every step of the way. Your voice and your sense of design becomes an important part of the process. Available to provide lectures to your organization or group. Topics include Design Basics, Gardening for 4 Seasons, Dealing with Deer and Tool Sharpening. Holloway Company Inc. specializes in outdoor living projects. We provide complete design build services for our residential clients including all permits & HOA submissions. Our specialties include: Fully integrated hardscape, carpentry, & landscape projects, custom curved decks with 100% dry living spaces under, & outdoor cooking and entertainment spaces. Holloway Company offers a full line of outdoor appliances as well as outdoor furnishings. Since 2007, the landscaping experts at Edward’s Lawn & Home have been providing full-service landscape design, build and maintenance to discerning residential clients throughout Maryland. Although we’re a young company, we’ve had the opportunity to grow substantially over the years thanks to our dedicated and experienced employees, our strategic growth plans, and our superior commitment to quality and excellent customer service. We’ve earned a reputation as a reliable and trustworthy landscape contracting company that goes above and beyond to build relationships with our clients and provide complete customer satisfaction. The Stone Store is where you'll find some of the most unique selections of natural stone and earth products available in the area! We have a huge selection of natural and manufactured stone, natural flagstone, stone veneer, stone and concrete pavers, topsoil, crushed stone, sand, mulch, exotic pebbles and so much more. The Stone Store provides one of the largest and most unique selections of natural stone and earth products in the Maryland, DC, and Northern Virginia areas. Offering displays including a state-of-the-art showroom and outdoor interactive patios, The Stone Store will help to visualize and plan the next landscape, construction, or decor project. As the leading provider of bulk aggregates and installed hardscapes for over 30 years, we will continue to provide the highest level of customer service by utilizing the best people, the best partners, and unsurpassed performance. 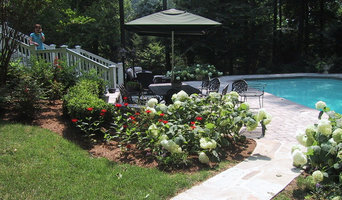 Quality Landscaping Services in Anne Arundel County for Over 25 Years! Art Masonry provides design and construction services for custom masonry, patios, walkways, fireplaces, fire pits, entrance columns, retaining walls, driveways, and more. While we specialize in working with stone, we also work with brick, pavers, concrete, and ceramic tile. The owner of Art Masonry, Joe Morgado, has over 30 years of well-rounded construction and masonry experience. He brings authentic artisan craftsmanship from a deep Portuguese heritage of stone masons to each of his projects. He serves the Northern Virginia market with an unsurpassed focus on the finer arts of masonry design. We provide free estimates and specialize in customized plans according to each customers needs and are local to the Chantilly, South Riding, Fairfax, and Loudoun County areas. All projects are constructed with a close attention to detail, creative design abilities, and superior quality of materials to guarantee customer satisfaction. Each is built as a work of art to be enjoyed for a lifetime. To ensure you of the quality of our work, please review our Testimonials and photo gallery. Botanical Decorators is an award-winning landscape architectural design-build firm. For more than 30 years, Botanical Decorators has provided design-build-maintenance services for residential projects throughout the metro Washington DC, Maryland, and Virginia region, enabling homeowners and their families enjoy them to the fullest. 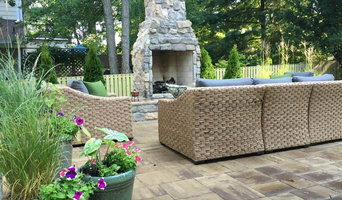 Each year Botanical Decorators has achieved awards and recognition for the design of arbors, decks, fencing, fireplaces, outdoor kitchens, pathways, patios, pergolas, pools, ponds, porches, pool houses, railings, rooftop gardens, walkways, walls, and other components that can reinforce an incredibly beautiful outdoor landscape. 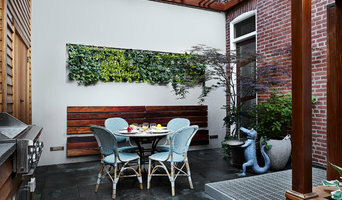 The company also provides excellent horticultural services to discerning clientele, and was selected by DIY Network’s Indoors Out show to appear with Dean and Derek, during a special segment about a unique stonework backyard project . ILD specializes in design/build projects ranging from small urban gardens to large residential and commercial projects with an emphasis on fine stonework and native planting. ILD jobs are installed without using heavy equipment where possible to minimize environmental impact on job sites. ILD was started by Denis Radford and Ashley Kidner in 1989. In addition to designing their own projects ILD has worked with some of Maryland's best Landscape Architects. Work by ILD has been featured in the Baltimore Sun, Baltimore Magazine and Home Magazine. The company has done work at the National Arboretum in Washington DC, in addition to an installation for Greek Artist Jannis Kounellis at the Hirshorn Gallery also in DC. Other work has been in association with Danish/Icelandic artist Olifur Eliason. Surrounds Landscape Architecture + Construction is a high-end design/build firm comprised of Registered Landscape Architects, skilled craftsmen, and experienced landscape crewmen all joined together as one team to serve the needs of homeowners who envision an outdoor living environment that will be the envy of their neighbors and friends. At Surrounds, we also offer landscape management services. We do not simply "maintain" landscapes, but rather we manage and enhance each and every one of our clients' properties to meet individual needs and desires. The comprehensive nature of our landscape management program provides a scientific and aesthetic approach to horticulture services. Our mission is to develop and nurture outdoor environments that positively change the way our clients live and experience the outdoors. We do this by creating award-winning outdoor living environments that enhance lifestyles and increase property values. We carefully merge artistic landscape architecture design services with professional construction and meticulous landscape management. A turnkey company, we provide unparalleled customer service, deliver exceptional results, and forge lasting client relationships. One of our experienced Landscape Architects will consult with you one on one to achieve the perfect concept for your home. This design will be inspired by your personal style and taste, making each project unique while complimenting the existing architectural character and local topography. Then, our team will work flawlessly together to move your project from paper to reality with stunning results. Whether you want the natural tranquility of an organic design with free flowing water over massive boulders, or the refined beauty of a formal setting, contact Surrounds today to find out what we can do for you. Jams Landscape provides highly creative, yet functional, design/build solutions for every type of outdoor living environment. Our imaginative and visually dramatic landscape installations cater to each individual’s personal lifestyle, budget and site specific requirements. The Jams Landscape design/build team works on a personal level with all clients and take a hands-on approach in the planning, design and implementation of each and every project. From large scale commercial landscape design to private residential gardens and hardscapes, Jams Landscape is committed to exceeding client expectations, while bringing projects to fruition both on time and within budget. Jams Landscape is fully insured and licensed (MHIC #51798). Since 1964, Garden Gate has been designing, building and maintaining residential gardens in the Washington, D.C. and Baltimore metropolitan areas. Through the decades, clients like you have enjoyed our excellent workmanship, superior service and quality products. We create gardens for living and offer service for life. Additionally, our reputation has attracted and kept highly qualified, committed employees and we continually strive to find and keep the very best people to work with you. Both locally and nationally, Garden Gate Landscaping is active in several trade associations. Garden Gate is recognized throughout the country as one of the premier residential Design/Build/Manage firms in the landscaping industry. We have won hundreds of awards for the projects that we have designed since 1964. Carroll Landscaping, Inc. is a full service landscaping company, which serves the Baltimore Washington Metro area. Our broad spectrum of services covers the job from start to finish, beginning with award winning Landscape and Hardscape design, continuing through installation, and ending with maintaining your property. We handle both residential and commercial work with the same quality and care that you would expect from any quality company. We have been in business over 32 years, and within that time, we have won many awards, which are detailed in our website. We can handle everything for your custom design and installation: Patios of natural stone or pavers, retaining and decorative walls, water features, select plant materials for your design and daily maintenance to maintain your beautiful landscape. *Belgard Authorized Contractor* We are The Outdoor Advantage, landscape and hardscape professionals. We help the homeowner add value to their land and create beauty according to the homeowner’s budget and dreams. We have been an Angie’s List “Super Service” award-winning company for five consecutive years. We always install according to and above industry standards and insist on attention to detail which separates us from our closest competitors. We are fully insured and offer a minimum warranty of one year on all plants, installations, and work performed. The Outdoor Advantage has been making customers happy in central Maryland by performing quality work at reasonable prices since 2002. McHale Landscape Design, Inc. is a residential landscape architecture design/build firm dedicated to the development of extraordinary residential gardens and properties. Since 1981, the firm has designed, constructed and planted over 100 award-winning residential projects. Combining landscape architecture, horticulture knowledge and field experience, our diverse staff helps to create beautiful gardens and living spaces with a team management approach to the design/build process. McHale's process is interactive including the client as an important part of the team. Our design team works directly with the client to define the design objectives that will ensure a successful project. Our goal is to be the client's single source for the entire project, from design to implementation to aftercare. Great American Landscapes is a full service, design, build and maintenance landscape contracting company. We have been serving residential, commercial and institutional clients in the DMV since 1984. Custom Stonescaping LLC is Northern Virginia’s original stonescaper designing and installing complete landscaping projects since 1994. All types of stonework, complete plantings and mulching, carpentry and building projects, landscape lighting, and correcting drainage problems are services Custom Stonescaping can provide for you. We also have strong partnerships with various other trades such as tree removal, asphalt paving, and home additions to allow you to make Custom Stonescaping your one stop shop when transforming your outdoor space.